The 2013 winners of The Trudie Alfred Bequest Ceramic Scholarships have been announced to great cheer. 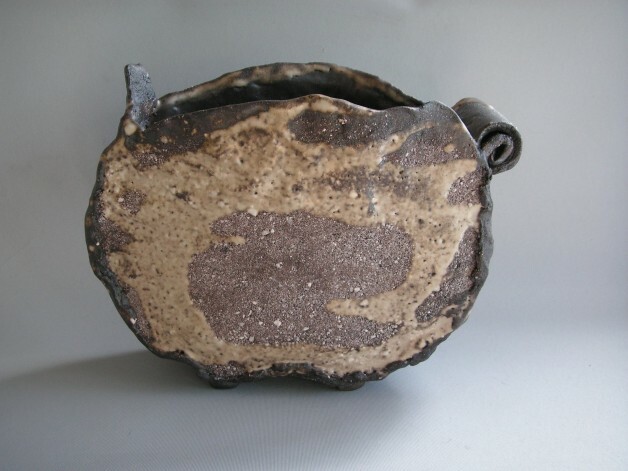 Trudie Alfred (1922 – 2010) was a well-known Sydney potter and teacher with a great passion for ceramics. 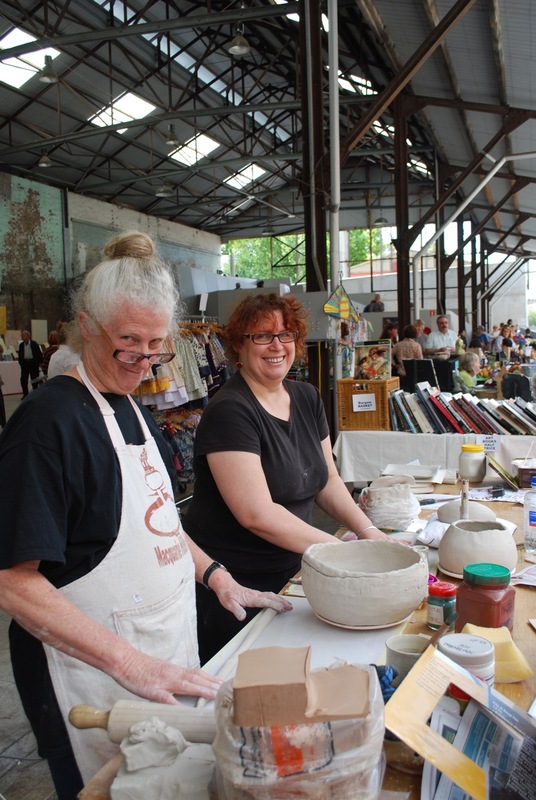 She struggled financially to sustain a ceramic practice in her early years as a potter and so, to assist others in a similar position, left a generous bequest to The Australian Ceramics Association (TACA). TACA will award up to 5 scholarships per year (2012-2016), each valued at $4000 (ie. total $20,000 per year for 5 years). Thank you to Judges of the 2nd round (2012/2013): Stephen Benwell (VIC), Ben Richardson (TAS), Patsy Hely (ACT) and Vicki Grima (NSW) for their deliberations and to all 34 applicants who made the judges’ job a hard one. 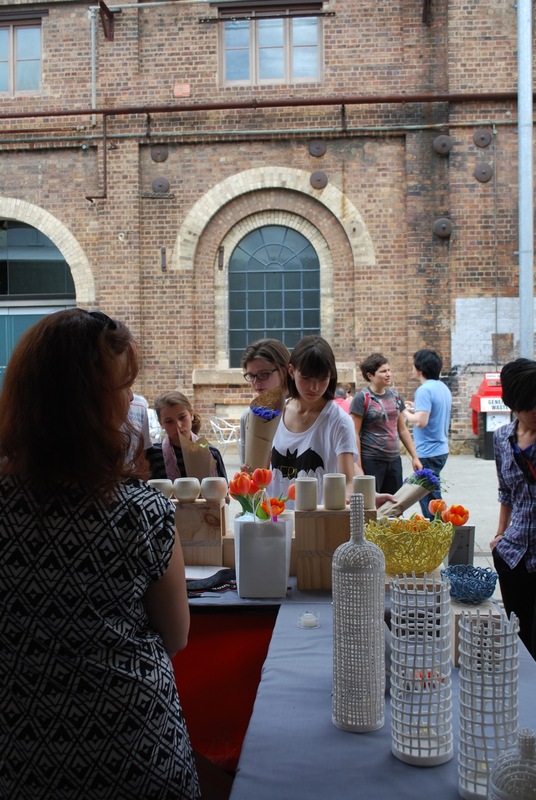 Applications for 2013/2014 will be announced in The Journal of Australian Ceramics, issue 52/1. It has been a busy few months for TACA. Firstly there was the migration to Adelaide for the Australian Ceramic Triennale, then we were busy writing letters about the woeful cuts to TAFE ceramics and visual arts areas and last week a panel met to consider the entries for The Trudie Alfred Bequest Ceramic Scholarships. For all you out there that enjoy making utensils to accompany your pots or if you’d like to add a ‘string to your ceramic bow’ then this tutorial by American ceramicist Kristin Pavelka is for you. 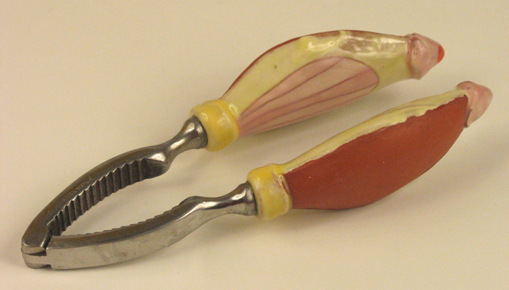 Kristin upcycles (love a buzz word) old utensils by creating new handles for them. 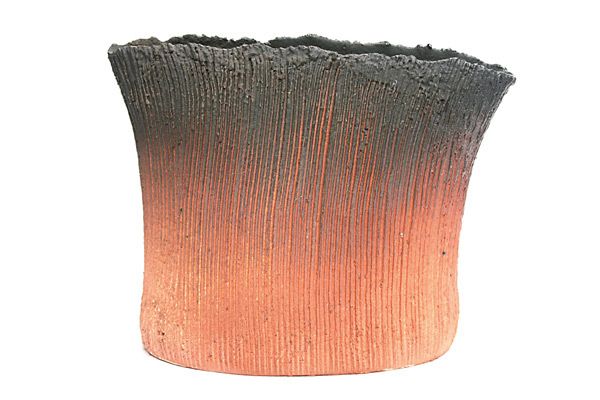 She has very generously shared her technique in this article for ceramics art daily. If you give this a go send us in some pictures of your adventures. We’d love to see and share them. 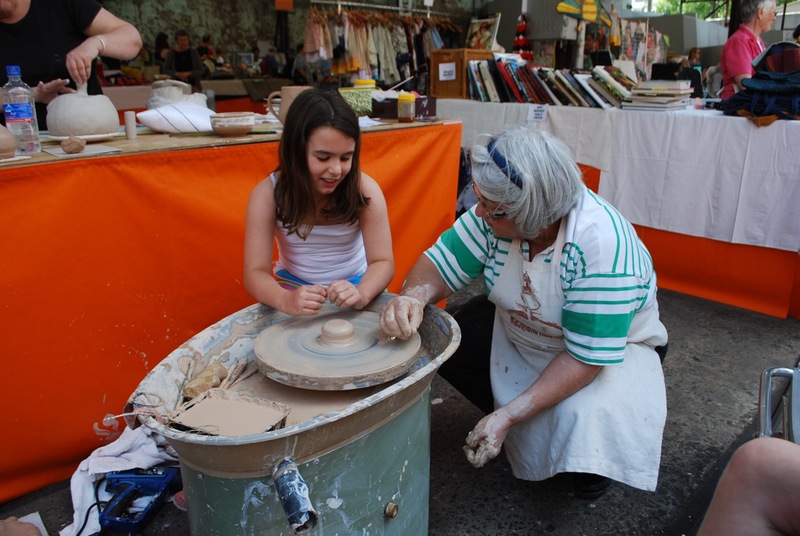 TACA has been greatly dismayed to hear of the savage cuts to TAFE art courses – including ceramics – announced in the last few days by the NSW government. These cuts have the potential to make a huge impact on ceramic practice at all levels in this country – from the school system to higher education institutions, where TAFE-trained students make up a significant group. I urge members to sign the online petition being run by Fund Art Education in NSW TAFE at www.communityrun.org/petitions/fund-art-education-in-nsw-tafe. This year has been a particularly busy and productive one for TACA and it is with much pleasure that I set out below some very tangible outcomes achieved by the Association over the last twelve months. Come one – come all to Shannon Garson’s exhibition at Narek Galleries on the NSW south coast at Tanja from 28 September – 12 November, 2012. 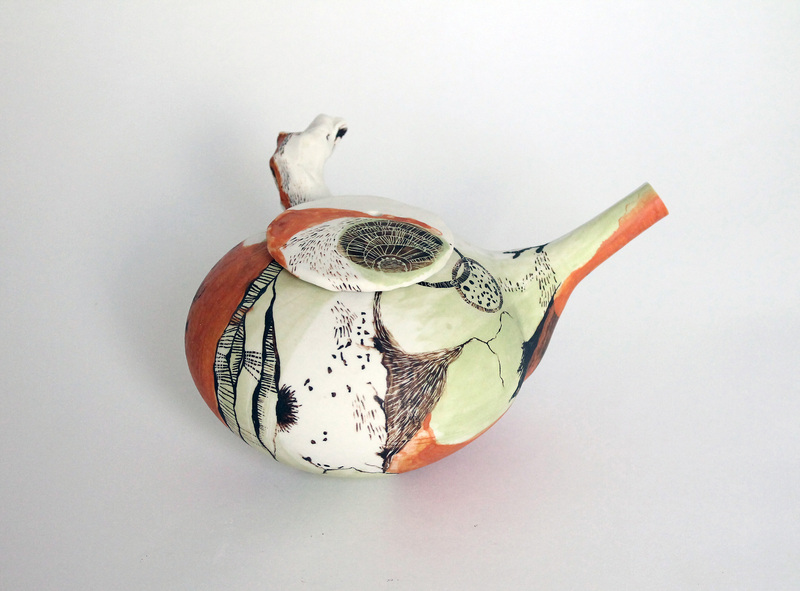 Shannon Garson’s latest work articulates landscape using domestic pots as vessels for drawings about the strange beauty and wonder to be found in the marginalized eco-systems of the littoral zone. Details of shorelines, rock pools and coastal wallum scrub are revealed in the sgraffito and oxide drawings that crawl over the surface of these delicately thrown porcelain vessels. The act of beach-combing, gleaning and collecting is analogous to the process used in making these works. Images, bird-footprints, tiny flowers completely covered in white hairs, the myriad detail of the landscape has been collected into marks. A visual language mapping the experience of being in the landscape, creating a dialogue between domestic life and nature. The gallery is open Friday to Monday, 10.30am – 5.30pm. Today is Friday 20 July and my pleasant working experience has come to an end. Now that I know that it’s possible to get paid for this, I am not looking forward to going back to school on Monday. I set off on day one unsure of what to expect. I knew that the real issue here would be waking up at 7am every morning after two weeks of my lazy school holiday schedule. Somehow, after two trains and a bus, I managed to travel from my grandparent’s house in Kirribilli to Waverley before 9.30. On arrival, I was introduced to Ashley and Vicki who I had met briefly and who have been lovely and patient with me all week. As soon as I got here I realised how small and friendly the pottery world is. I was greeted with “Oh, you’re Jen Lyall’s daughter!” by a number of office visitors. My first day consisted mainly of packing parcels for people who are, to me, just some of mum’s friends, but to anyone else I suppose they are the “the director of something at an arts college a long way away”. My favourite thing about doing work experience here has definitely been how tightly knit the community of ceramists across Australia are. My curiosity usually gets the best of me, so my first day also consisted of getting lost in the streets of Waverley during my lunch break. On my second day, after a spontaneous trip to Bronte beach in the morning, I left my wallet on a bus. This was a bit of a dilemma, but by some strike of luck it turned up at the bus depot the next day. Most of my time at home is dedicated to blogging and assignments, and so working here seemed very leisurely compared to school. I updated The Australian Ceramics Association’s blog, https://australianceramics.wordpress.com, and made a few posts. Vicki and I also made a competition for TACA’s friends on Facebook, which I got the pleasure of judging. I’m glad that I got to do work experience for such a small, intimate magazine. I got to see how everything is done and created as a whole. I feel so lucky to be here rather than some huge publishing company, where I’d probably only get to see a very small part of the big picture. I loved being able to walk to the coffee shop and get something to eat during my lunch break. Being able to walk everywhere is probably my second favourite thing about staying in the city and doing work experience near the ocean. I could stroll down to the beach after work, or walk through Centennial Park on my way there. The location is something I’ve really appreciated this week after living my spread out life in the Hill’s district. 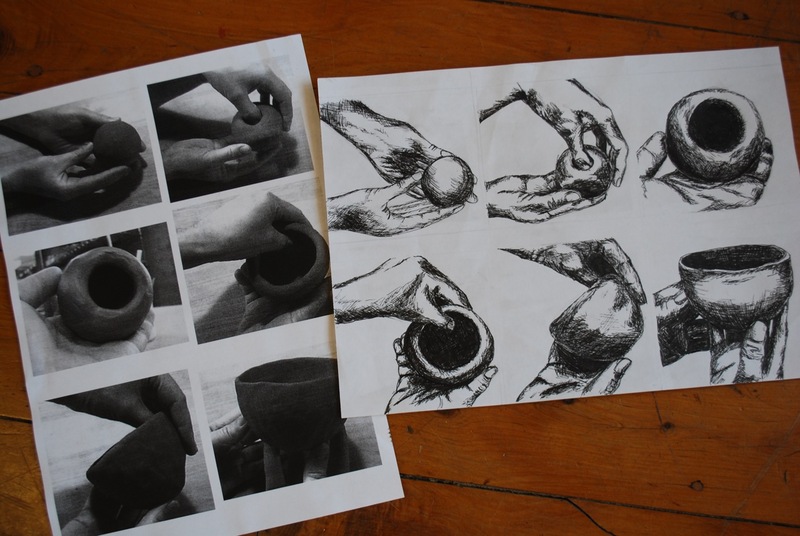 The most enjoyable task I was been given this week was drawing six biro sketches of hands making a pinch pot, which I just finished. I love drawing and it’s something I spend my spare time doing, so being able to do it at work was amazing. Overall, I can hardly believe what an enjoyable week I’ve had here. I’ve heard stories from friends who hated their work experience and had a terrible time, and I feel so privileged in that I have had so much fun. I’ll be leaving with a much greater understanding of ceramics and what my mum does for a living. Work experience here makes me wish I had actual qualifications, so that I could get a job here in such a lovely place with such kind people. I’ve had such a fantastic time here, and if this is what the real world is like, it’s a lot nicer than I thought it would be. 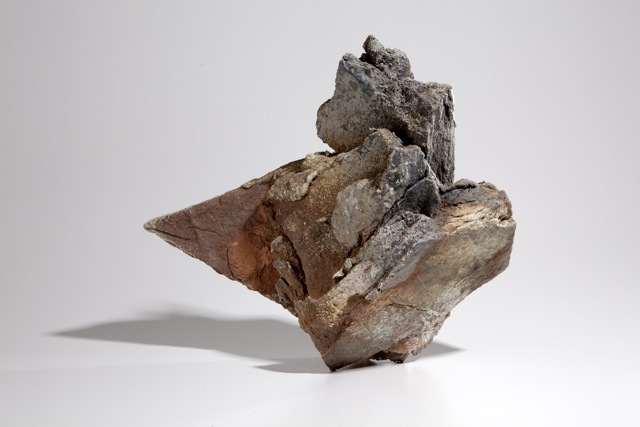 The current issue of the Journal invites applications for The Trudie Alfred Bequest Ceramic Scholarships 2013. In administering this second round of scholarships we pay tribute to the late Trudie Alfred who bequeathed TACA a significant fund to support ceramic education. 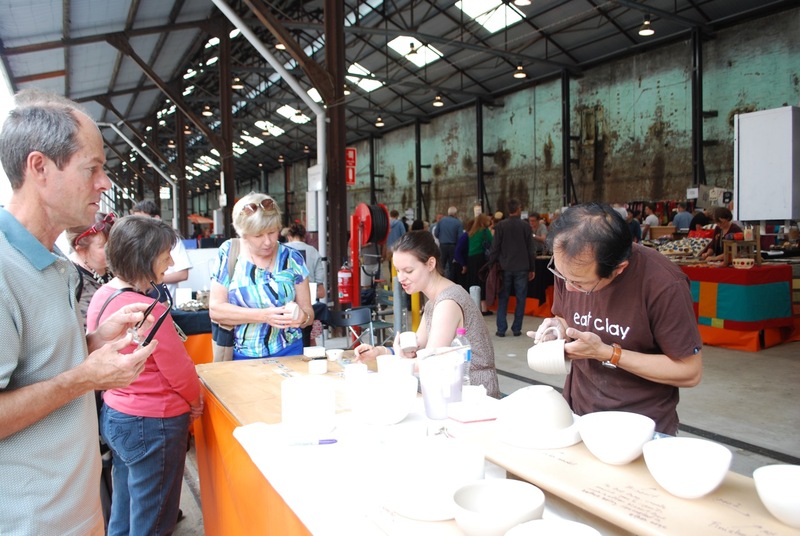 Like to take part in Eveleigh Artisans Market Ceramics Showcase? 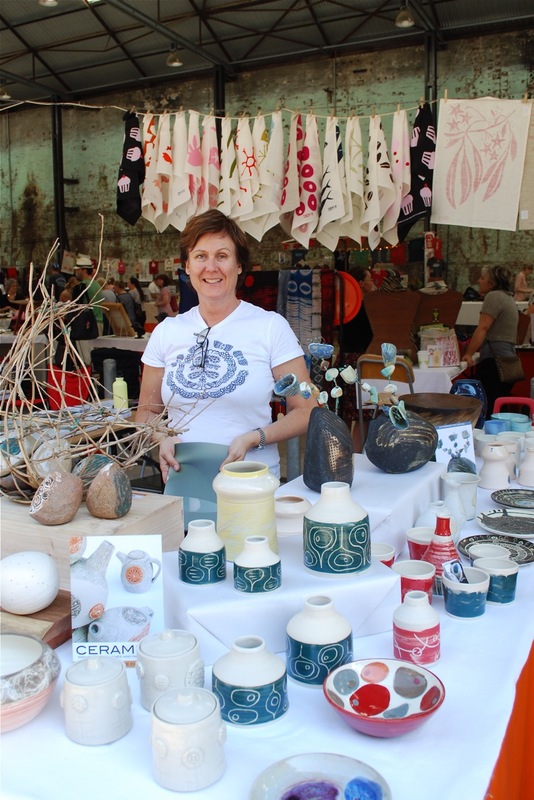 The Australian Ceramics Association (TACA) has once again booked 10 stalls at Eveleigh Artisans Market (EAM) for Sunday 4 November 2012. Each stall can cater for 2 people to display their work. TACA has also been asked to run demonstrations throughout the day. In return for giving a one hour demonstration, TACA is happy to give three demonstrators a free space on a stall. Demonstrators will need to bring all their own demonstrating equipment. 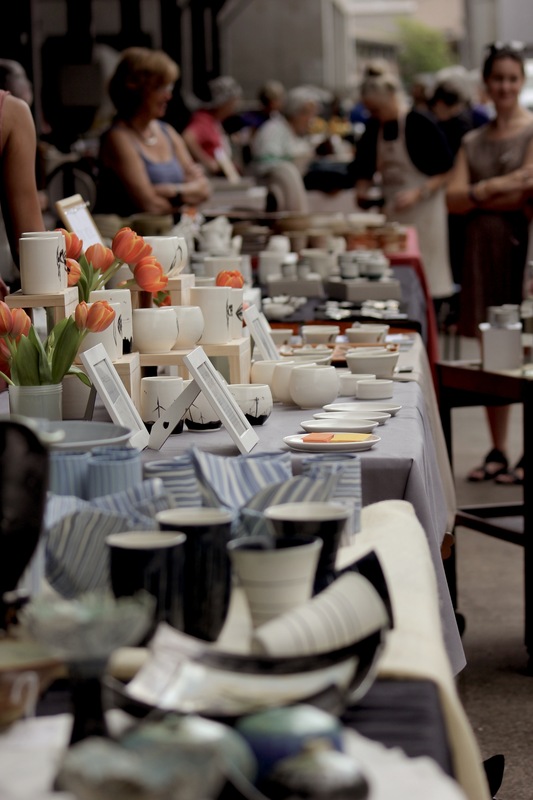 We are aiming to display the work of 20 potters – 2 potters per stall (1 stall = 3 tables), 10 stalls.Cost to participate: $45 per person, payable to TACA (do not send payment until notified). Participation is open to members of TACA who hold Public and Product Liability Insurance. All participants must hold a current Public Liability Insurance Policy (preferably with TACA) to take part in the market. A Certificate of Currency must be supplied to TACA for every participant, at the time of payment for your space. Please submit your EXPRESSION OF INTEREST by Friday 24 August 2012. Your EOI will include your name, contact details, a few lines about your work along with an image (jpg file, less than 1 MB) of the work you will display at EAM. Send your EOI to: mail@australianceramics.com, marked “EAM EOI” in the subject line. Successful applicants will be advised by 24 September. For more information drop us an email, or give us a call. pinch, press, pull, pug, print … show how hands can be used as tools. The Prize: publication of your image (full page) in Issue 51/3 of The Journal of Australian Ceramics (JAC), books to the value of $200 from our online shop or 2 years membership of The Australian Ceramics Association. The choice will be yours. A selection of the best images will be featured in The JAC, Issue 51/3, to be published on 20 November 2012. Image format: 300 dpi jpg file, minimum size 1MB, maximum size 4MB. DO NOT email tiff files. Portrait and landscape formats are acceptable, although portrait images (24.5cm X 17cm suit JAC’s format best). All photos must be accompanied by the following information: photographers name, location and date of image. Photos must have been taken in 2012. There should be no digital manipulation of the image. By entering the competition, you give The Australian Ceramics Association license to publish your photograph in The JAC (paper and digital) and on our website (via Flickr), www.australianceramics.com. Images can be emailed to: mail@australianceramics.com with the subject heading “HANDS AS TOOLS”, or mailed on a disc to HANDS AS TOOLS, PO Box 274 Waverley NSW 2024. Get your diaries out, because this Friday 20 July comes the opening night of the 2012 Annual Woodfire exhibition at Kerrie Lowe Gallery, 6 – 8 pm. As you step inside Kerrie Lowe Gallery, Newtown, you will find the work of 21 various woodfire potters from all over Australia. Featured, will be a variety of unique pieces from Judy Boydell, Barbara Campbell-Allen, Kwi Rak Choung, Geoff Crispin, Rowley Drysdale, Su Hanna, Steve Harrison, Jann Kesby, Janine King, Daniel Lafferty, Janet Mansfield, Susie McMeekin, Chester Nealie, Cath O’Gorman, Joshua Rowell, Owen Rye, Geoff Thomas, Yuri Wiedenhofer, Steve Wiliams, Kirk Winter and Roswitha Wulff. The Gallery will be open 6 – 8 pm on Friday, and 10:30am – 5:30pm (7pm on Thursdays) from Monday to Saturday. 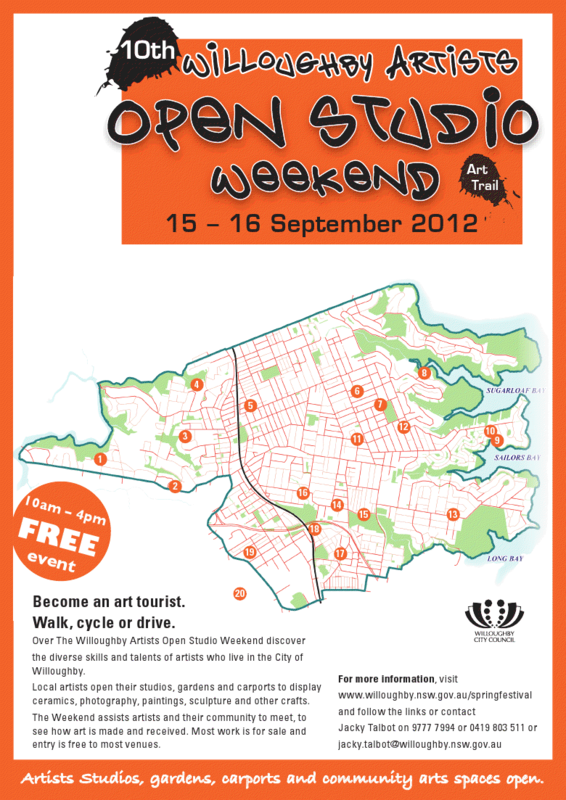 If you can’t make the opening night, make sure you get down to the exhibition before it closes on the 14 August 2012. TACA is currently focusing on a number of issues, some related to The Journal, and some to the Association. The Association is busy organizing its contributions to the 13th Australian Ceramics Triennale being held in Adelaide this September. Firstly, we hope many of you will submit work to the members’ VASE exhibition. 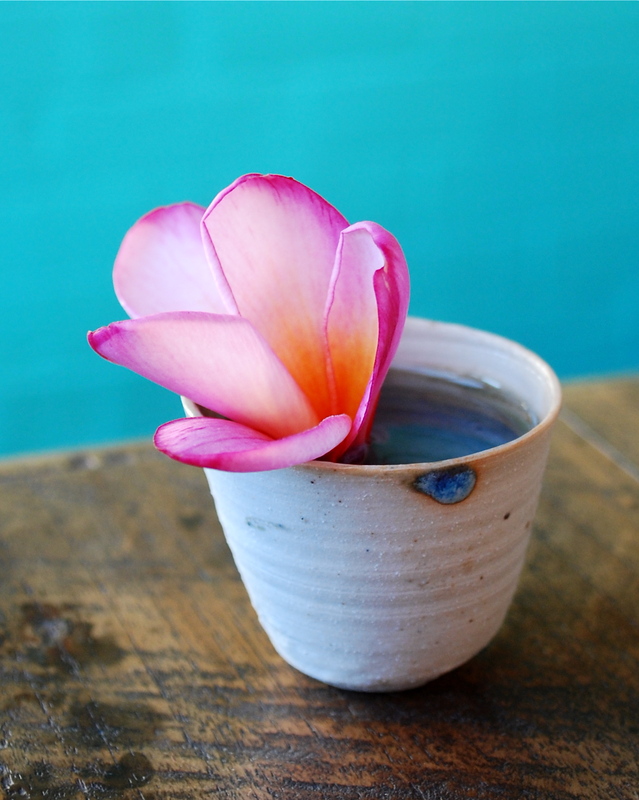 You can find all of the details on http://www.australianceramics.com via the Association pages. Go to ‘members exhibition’ link. Note the closing date for an expression of interest is 30 July 2012.